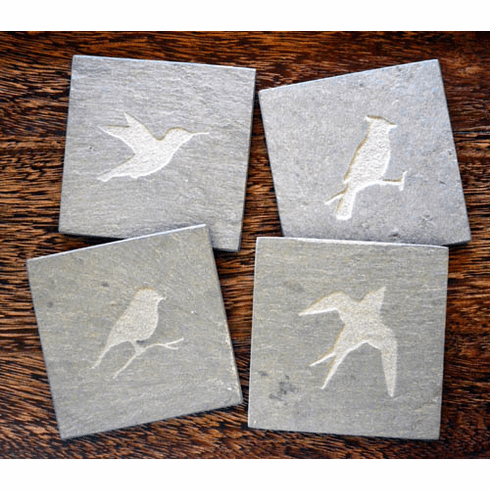 Bird Slate Coasters, Set of 4 - Depicting some of our favorite backyard fliers including the Cardinal, Chickadee, Hummingbird and Swallow, these natural slate coasters bring cheer to any gathering. Handmade in Vermont, each coaster has an etched image for years of use and the bottom is cork to protect your furniture. Each slate coaster is 3-3/4" square. Gift boxed.